2019. A new year, and of course, new hair goals. This year, I want to cut down on my heat use, specifically blow drying. Now, there is nothing wrong with blow drying my hair, and it's been a great way to prevent hygral fatigue since my hair can take up to two days to dry. But, at the same time, blow drying takes an extra hour of an already long wash day. 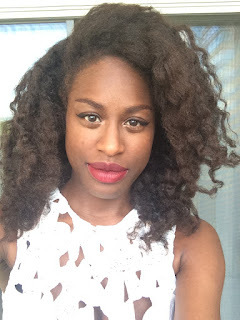 Last year, I tried various methods to air dry, which included blow drying a wash n' go with disastrous results (friendly reminder to myself that wash n' go's are a no go for me). I also tried regularly sleeping in curlformers, but I failed at committing to this weekly. There were a few times I gave up completely believing that blow drying was the only way to ensure my hair would dry in a timely manner. During all of this, I kept seeing ads for a hair towel on Facebook and Instagram. It promised that the towel would dry hair faster and more completely. I was skeptical; after all, I already had a microfiber towel, and it didn't do the best job at drying my hair. Plus, I thought my cotton t-shirt did a perfectly okay job. But eventually, my curiosity caught up with me. I bought the Aquis towel the last week of 2018. I expected it to take a week to arrive, but it only took a few days. Unfortunately, I was at my mom's, and I wasn't able to use the towel until a few weeks later. The first time I used the Aquis towel, I blow dried my hair. Surprisingly, the towel wicked more water from my hair than a cotton t-shirt, and I was able to cut down on drying time by half. I was impressed, but I still wasn't sure if the towel would do the same with air drying. 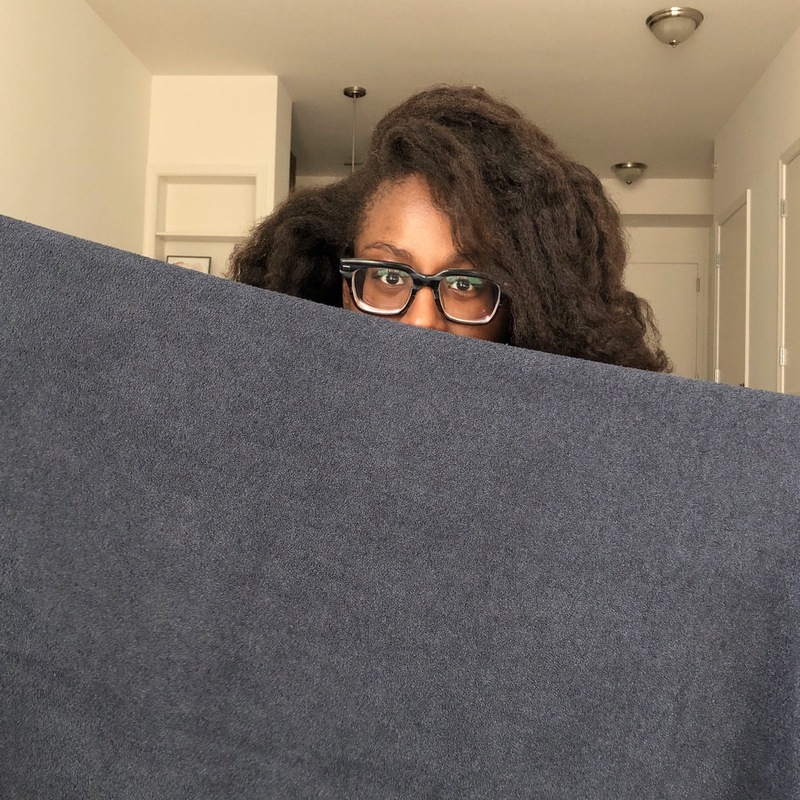 A few weeks later, I washed my hair and just didn't feel like blow drying, so I put the towel to the test...and it worked! I did my whole wash process, wrapped the towel around my head for 30 minutes, moisturized and sealed, and made eight braids. In the morning, my hair wasn't completely dry, but it was about 70-80% dry (a cotton t-shirt would only leave it at about 50%). And by the end of that day, my hair was completely dry. It worked as promised! I only have one critique, which is the shape of the towel. It's 19" x 52" (this is the long length), and I wish they had a square size. My hair does poke out a bit if I wrap the towel around my head, as opposed to turban-style. Of course, this is a very small issue, and it doesn't take away from its performance. And, while this isn't an issue for me, the price does range from $30-45, which may be on the high end for some people. So, what's the final verdict? The towel is amazing! I totally recommend it if you want your hair to dry faster, or are trying to find ways to avoid heat.